As the morning sun rises and the colors begin to form, hope develops. It’s the start of the new day, we hope to make it a good day. Soft hues, newly formed hoping to stay positive for the days to come. … this is a good feeling my friends and one we should have everyday. Hope. It’s innocent until changed. Hope is something we search for everyday and continue to search for during our lives. What do you hope for? To be happy? Healthy? Wealthy? To be in love? Whatever your “hope” is, have it in your home. These colors are very hopeful as the pink, peach and purple are used separately or used blended. Well I “hope” that you like my new Holistic approach to color. Take note of how you feel after you read what I write and after you look at the color circles. The circle is a very powerful shape as well as the color they contain. 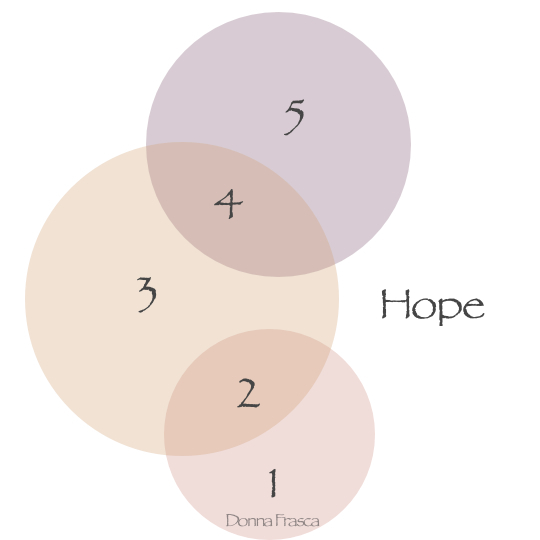 If these circles resonate with you, bring this “feeling” into your home. Hope. It’s a great feeling to paint. This painting by Terry Lind David looks like HOPE to me. 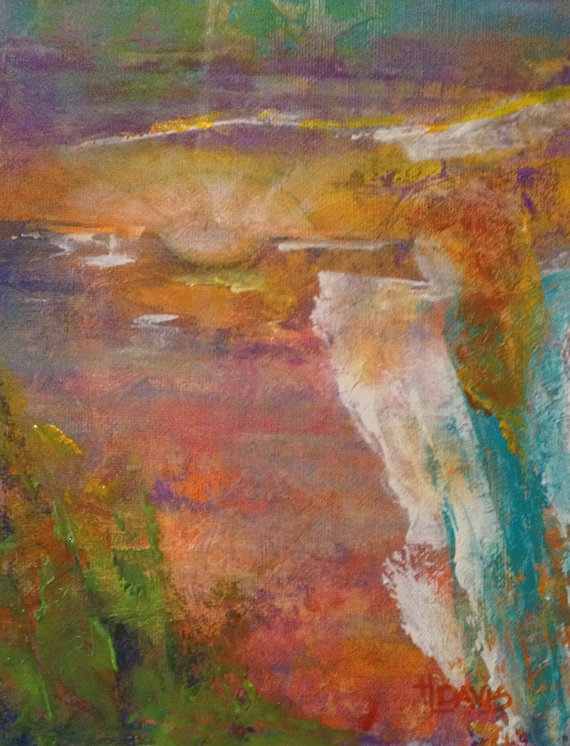 This entry was posted in Holistic Colors and tagged color, holistic color, hope. Bookmark the permalink.